Mr Chew is currently Vice President, Sustainability at Genting Plantations Berhad. 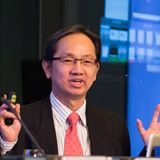 He was previously Director, R & D at the Malaysian Palm Oil Association from 2005 – 2008; where he actively led the first Malaysian National Interpretation of the Roundtable Sustainable Palm Oil Principles & Criteria and was an alternate member on the RSPO Executive Board for MPOA. During this period, he was also actively involved in RSPO P&C TF and other working groups. Mr Chew is currently the MPOA alternate to Dato’ Carl Bek-Nielsen in the RSPO Board of Governors. Mr Chew was also involved in the development of the Malaysian Standard for Sustainable Palm Oil (MSPO) and the Lab Leader for the National Key Economic Area (NKEA) Palm Oil Lab which contributed towards the palm oil sector’s national economic transformation programme in 2011. In 2013, he was appointed Co-Chair of the International Sustainability and Carbon Certification (ISCC) Technical Committee, South East Asia. In 2014, he was invited to speak at the ISCC Conference in Brussels and to brief a group of EU MEPS on the industry’s initiatives on sustainability. Before his involvement in sustainability, Mr Chew has had wide ranging exposure to plantation agriculture, R & D, training, advisory and plantation management during his professional career with Sime Darby Plantations from 1980 to 2004. He holds a MSc degree in Plantation Management, a post-graduate diploma (equiv.) in Strategic Management and diploma in Management from UPM, UTM and MIM respectively.